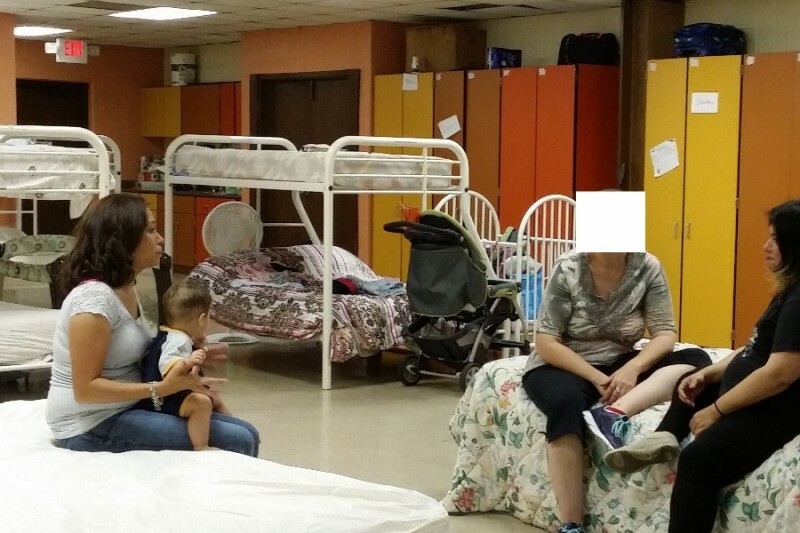 We are a homeless shelter in Pasadena, Texas. Since 2001 we have been a haven for homeless women and women with children. We also operate as a clothing donation center and a food pantry. We service over 300 families a month and house over 100 individuals a year. In 2013 the building we have resided in was sold! By the grace of God we have found a new home for our women, but it is in despite need of repairs to make in habitable for our women. We are so thankful to the community that has supported us so far. We are doing everything to try to keep our door open so that our residents that currently reside with us do not once again find themselves homeless, as well as help those with in our community that have nowhere else to turn. But we need help! Once the electricity was fixed we discovered that both of the AC units would need repair and the outside ground unit was stolen. This is a devastating blow to us. We are close to running out of funding to fix the new building, $17,000.00 will ensure that all repairs can the made. We are also running out of time to make these repairs. I am so sorry to anyone who was wanting to donate but could not. The problem has been fixed. Again I apologize for the inconvenience! Hi everyone!!! Thank you so much for donating. If you leave a comment on here, I promise I am not being rude. For the life of me I cannot figure out how to reply. Please message us on facebook so we can answer you. Please share with everyone you can we are getting so close. Every penny counts!!!! Everyone here at Sarah's House is absolutely in tears because we are so completely overwhelmed by the out pouring of support. We want to say thank you so much for all that has been donated! I also have clothes. I can mail them if an address is provided.